Business proposals come in different models depending on the workflow, and thus, as a social media consultant, it's wise to know how to create a social media consulting proposal. A proposal works as a pitch and a contract at the same time; thus it has the potential to bring in a new client and ensuring the client's loyalty is assured. However, it will only work if the proposal is well written. 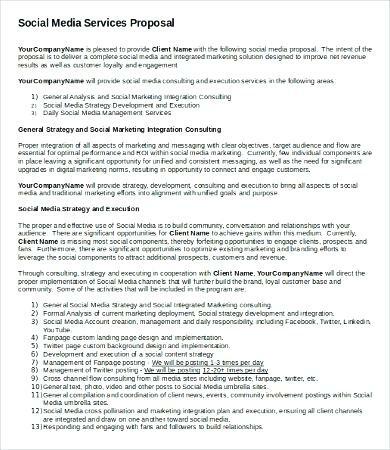 Thus, it's important to know that for the social media consulting proposal (or any business proposal), the document should focus more on the potential client. In fact, if you have to focus on your strengths as a social media consultant, let it be in such a way that the client only sees the value your strengths bring to their company. One way of ensuring the client feels that they matter by taking time to research into their business and how you can make their digital business environment much better than anyone else can. To write a social media consulting proposal that will bring in business, start by researching the business and social media goals the potential client has. Thus, you will be answering one fundamental question – how social media can help them achieve what they are working towards. Determining the client's social media goals gives you an edge in that the client will be more willing to discuss the proposal since they feel that your services will indeed bring them something tangible to help them grow. So how do you determine the goals? Your clients already have objectives that they expect social media to help them achieve. For example, they could be looking into more brand awareness or managing their brand reputation through social media. These objectives will go a long way into defining goals that will feature in the social media consulting proposal. Objectives usually come before goals – they help define goals! Once the objectives have been established, the goals will represent how and when you will help the client realize these objectives. Social media consultants use the S.M.A.R.T structure when establishing goals and with good reason. This framework makes sure that the goals set are precisely clear, useful and relevant for the client. The acronyms stand for goals that are specific, measurable, attainable, relevant and timely. These qualities also build on one another. You will define particular goals over vague ones that may lead somewhere. For example, a vague goal would be to increase social media reach. 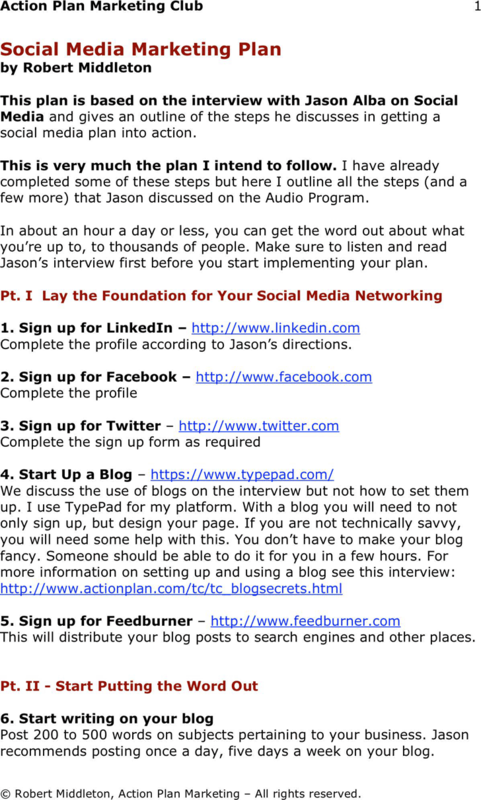 A specific goal is to achieve 100 or 1000 new followers every month. Having goals that are not open to interpretation will save you energy and time, making it easier to achieve your objectives. Specific goals are measurable. Specific goals that are measurable allow you to identify your progress, allowing you to tweak your strategy in case your objectives are not being met. It is much easier to know the success or failure of your efforts when you have a quantity you can measure yourself against. For example, you will know how well your specific goals are performing when you can quantify an increase in tweets or direct messages instead of emails or texts. Goals that are not attainable are a waste of space in any social media consulting proposal. To know how achievable the goals are, you will measure them against goals that have previously been attained. These previous goals help you set the mark which you plan to hit and surpass. For example, if your client has only 500 Twitter followers, it is unrealistic to set a goal of attaining 300 retweets per day. Goals that are attainable are also realistic. As a social media consultant, it is necessary that the goals are relevant. The specific purpose should strive to meet particular objectives. For example, if your client wants to build a mailing list, it would be irrelevant to set goals on increasing the Instagram follows instead of directing that traffic to the client's website where users can quickly sign up for mailing lists. Committing to a timeframe is an expression of professionalism and also helps keep you accountable. Once the goals have been set, it is possible for your client to realize all their objectives with regards to how they expect social media to improve their business, thus giving them a reason to provide you with the task of achieving these objectives as their social media consultant.